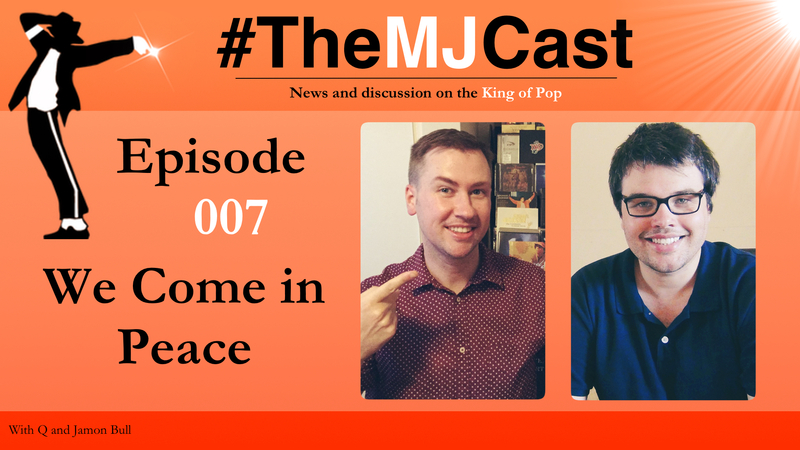 Q returns from his US/Canada/Hong Kong trip and is back on board to discuss the future (or lack thereof) of Captain EO in Disney parks, Michael Jackson being nominated by the Billboard Music Awards for Top R&B Album of 2015 with Xscape and the upcoming Broadway version of The Wiz. We also discuss Unity: The Latin Tribute to Michael Jackson, MJ tribute artist Dimitri Reeves performing Michael’s music amidst the Baltimore Riots, the Estate of Michael Jackson partnering with Authentic Brands Group for an international merchandising business relationship, Kingvention 2015 and the Thriller Studio Tour at Westlake Recording Studios, Hollywood! Lastly, we launch into an in depth discussion around Q’s experiences at the Cirque Du Soleil MJOne show at Mandalay Bay, Las Vegas. Disney’s Captain EO to be closed?! What’s really going on here? Michael Jackson’s Xscape album is nominated for Top R&B Album of 2015 by the Billboard Music Awards. The Wiz is set to be NBC’s next live musical in late 2015, also coming to broadway in 2016 with Cirque Du Soleil‘s inolvement! Unity: The Latin Tribute to Michael Jackson is out. Read all about this great album on this NBC article. Michael Jackson tribute artist Dimitri Reeves performs MJ songs amidst the Baltimore Riots and gives an interview about it here! The Estate of Michael Jackson and Authentic Brands Group partner to expand the Michael Jackson brand worldwide. A Michael Jackson convention called Kingvention 2015 is happening in London on Saturday the 12th of September, 2015. Thriller Studio Tour at Westlake Recording Studios in Hollywood is Back for 2015! Q’s thoughts on Michael Jackson One, the Cirque Du Soleil/Michael Jackson show at Mandalay Bay in Las Vegas. Kerry Anderson’s Facebook page and Agape Love, the Facebook page for his upcoming book. Xscapeorigins.com, the website for the new book on Michael Jackson’s creative process, by Damien Shields.